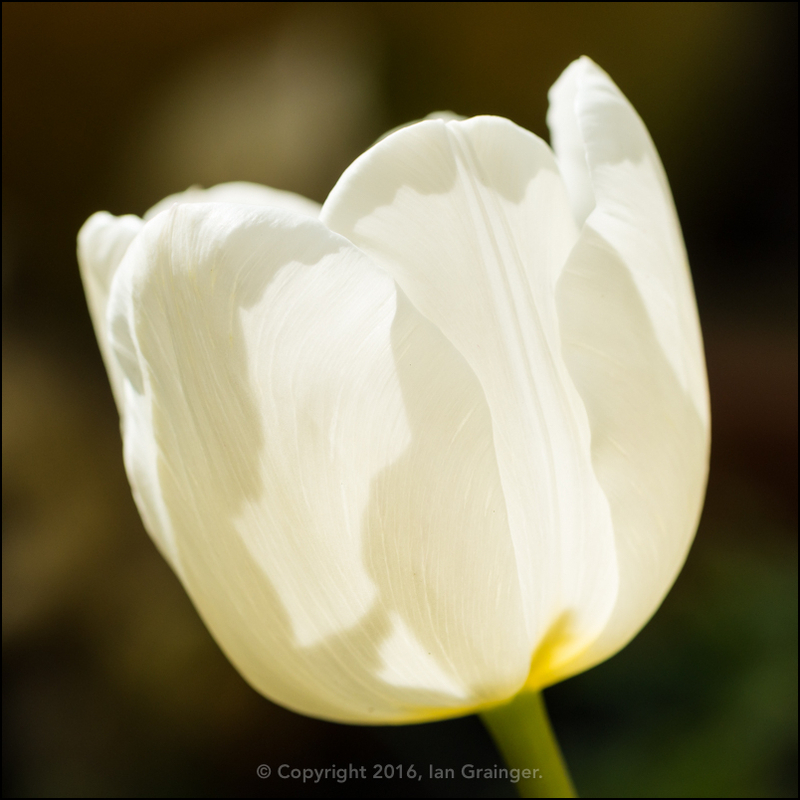 The recent good weather, and in particular the warm spell, has done wonders for the spring bulbs planted in the garden, especially the Tulips. 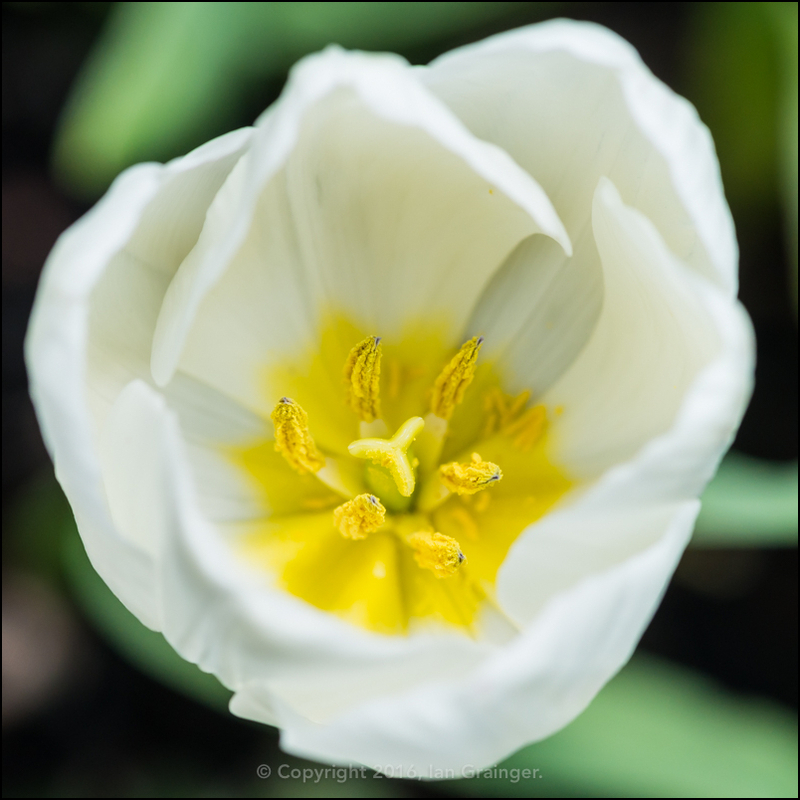 While Tulip leaves have been popping up all over the place for the past couple of weeks, there were only one or two that had burst into flower, and those that did were destroyed when Storm Katie hit. 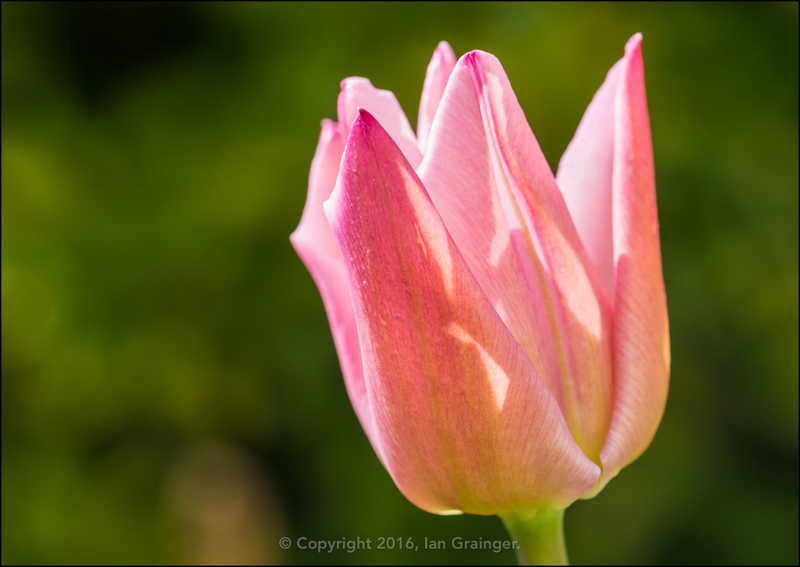 However, this week has seen the emergence of quite a few different varieties, my favourite of which was this subtle pink coloured one with the crown like petals, which looked lovely in the glow of the afternoon sunlight. ...which has a nice yellow centre. 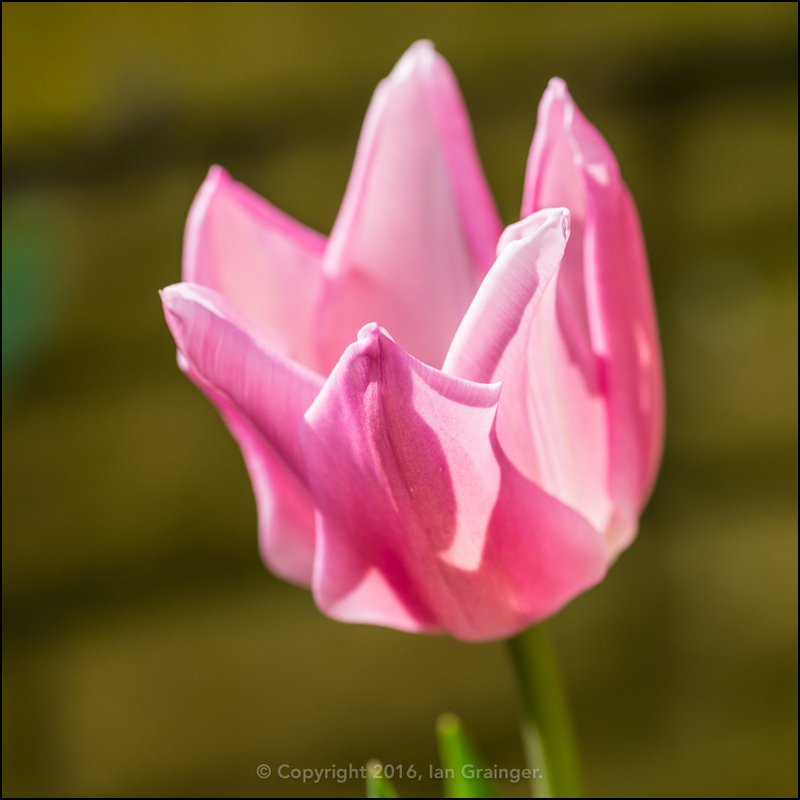 A stronger pink variety was also on display, and looked good against the retaining wall of my patio. 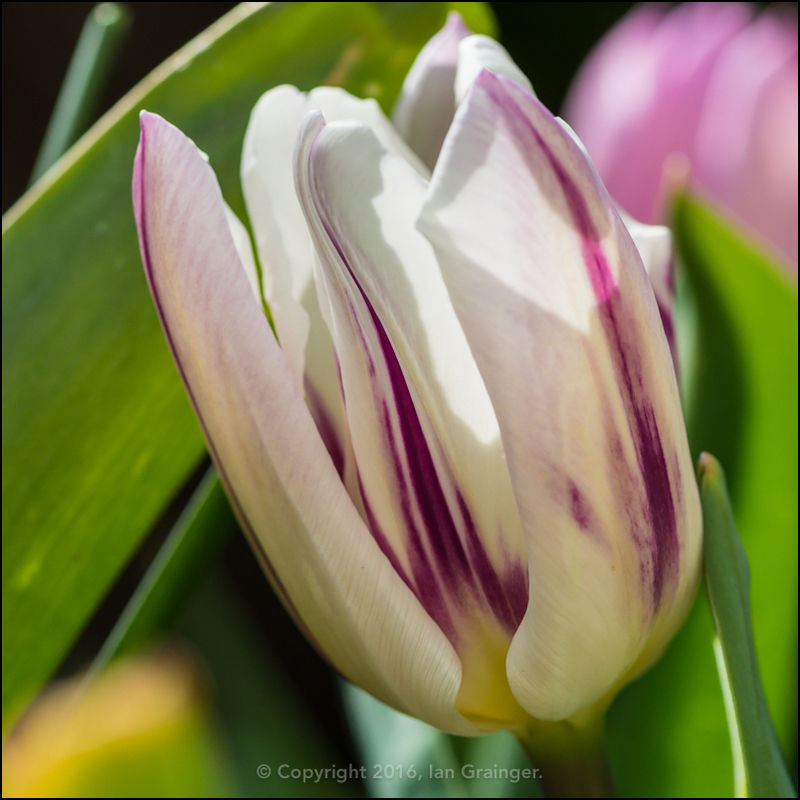 I thought I'd planted varieties of Tulip that were only one solid colour, but this red and white variety has also popped up in a container! 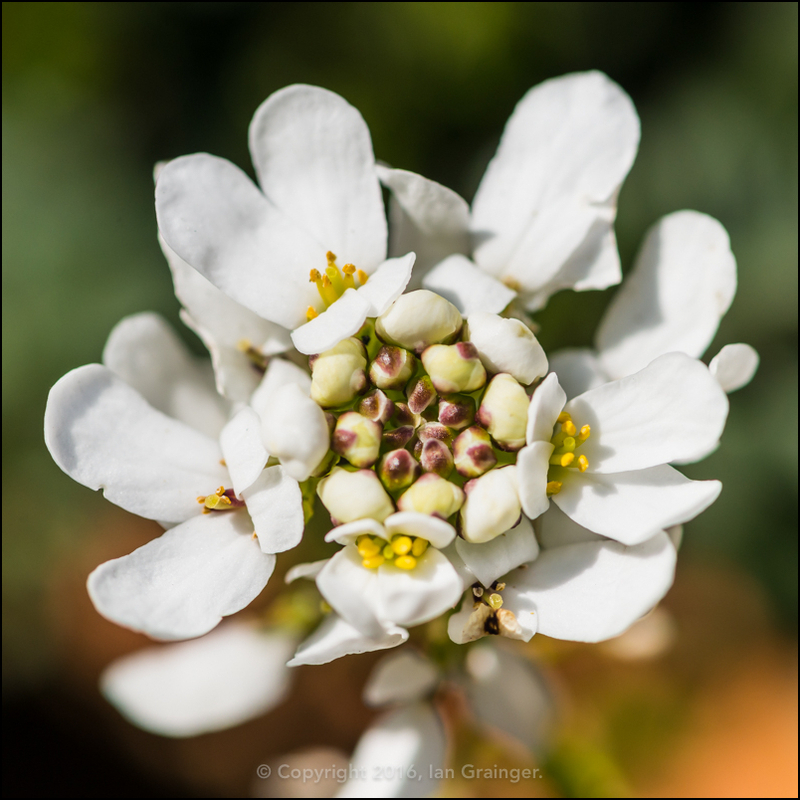 The good weather has also encouraged my Candytuft (Iberis sempervirens) to come into blossom. Last year this little shrub produced two flushes of flowers - once in spring, then after cutting back, again in autumn. I was hopeful that the same would happen this year too. 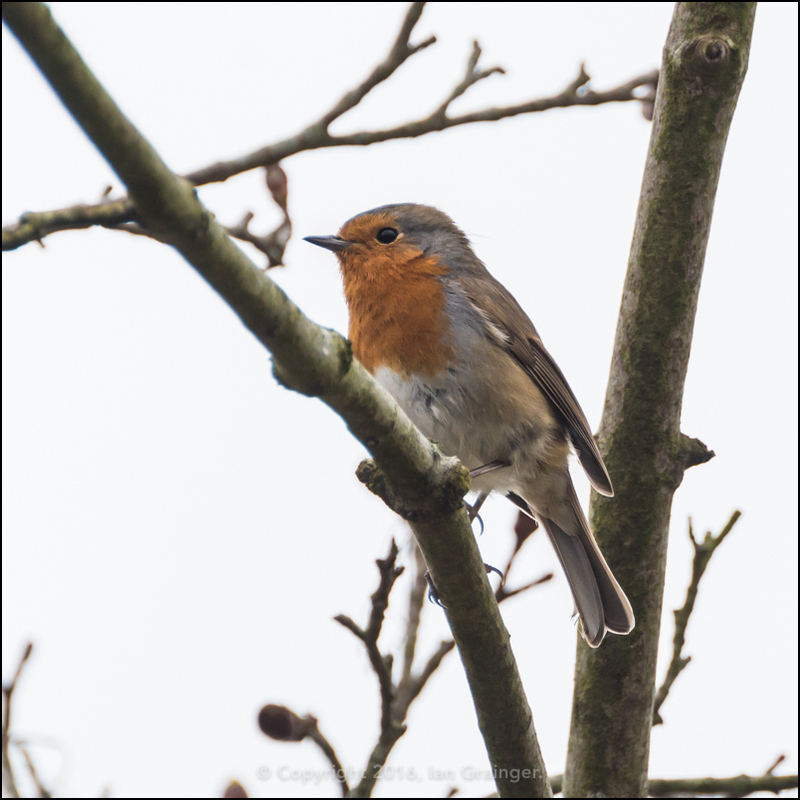 My constant garden companion is Robbie - or maybe this is Roberta! The pair are working tirelessly to feed their chicks, which are currently residing in one of my garden nest boxes. 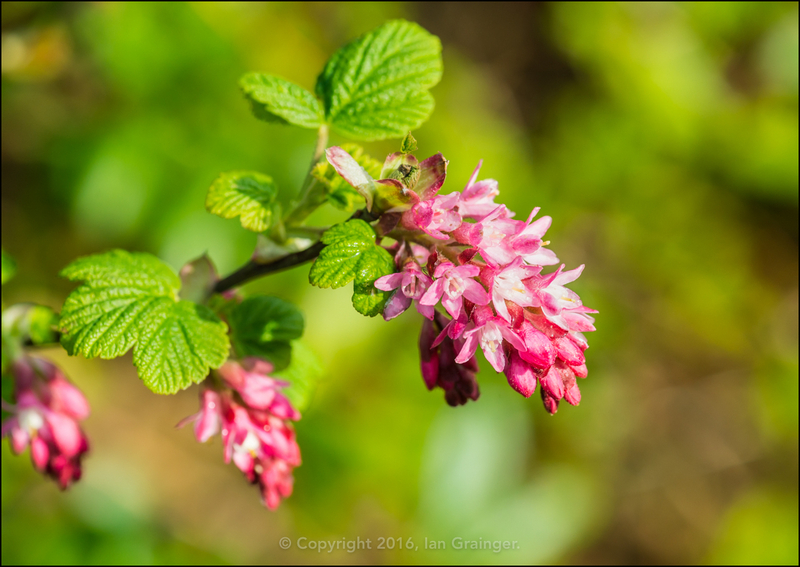 Meanwhile, newcomers to my dad's garden this week include this Flowering Currant (Ribes), which not only produces a mass of pretty pink flowers, but also has a lovely scent. 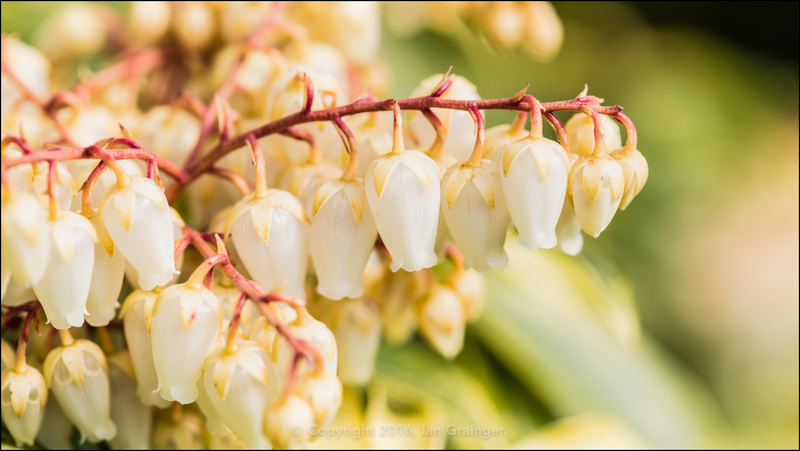 The Forest Flame (Pieris) has also finally opened up its flower buds and is covered in blossom. 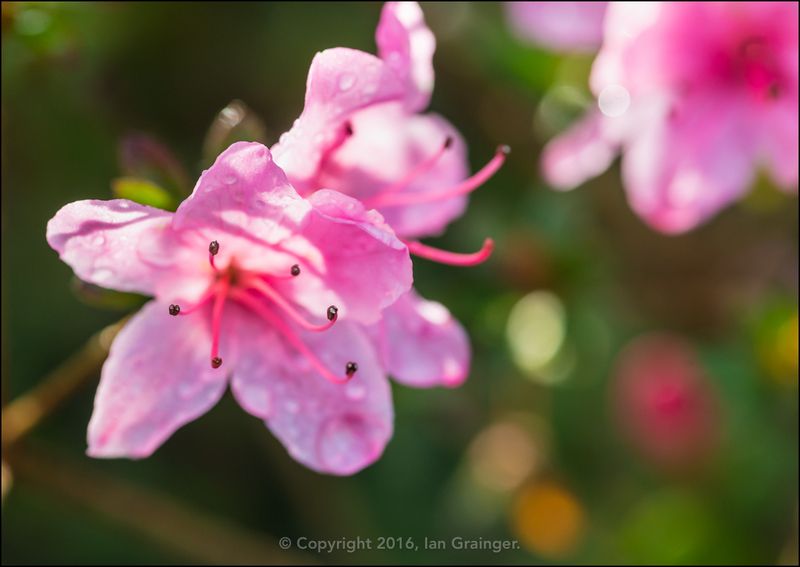 There's also a lovely pink Azalea bush that has started putting on a good display. 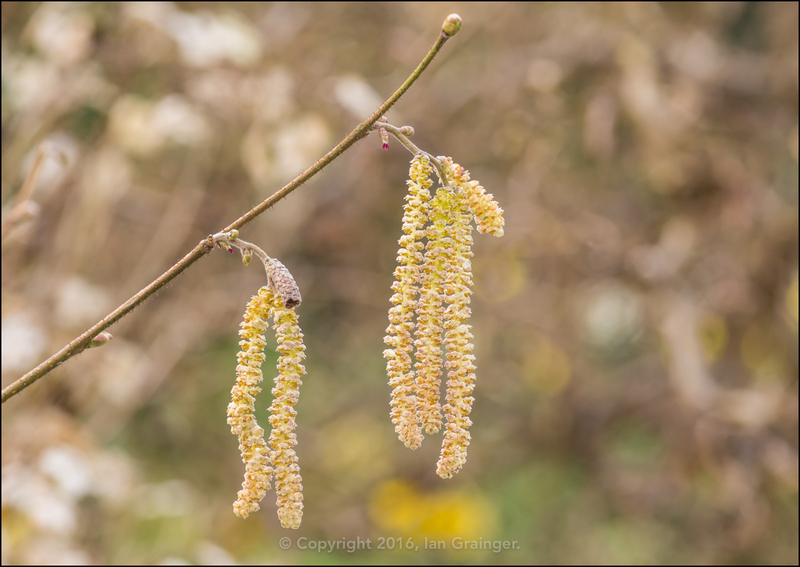 The catkins of the Twisted Hazel Tree (Corylus avellana contorta) are also becoming more prolific. 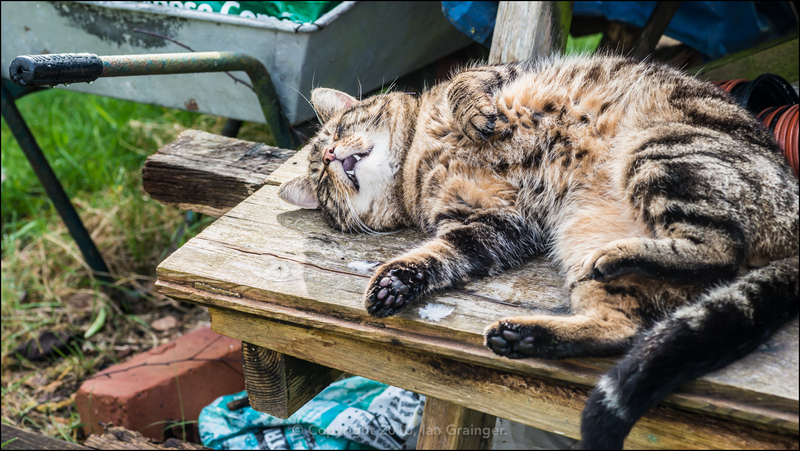 Whenever I go to dad's and take photographs in his garden, I'm usually accompanied by the cat that has adopted him as his keeper! He loves attention, and is always ready to strike a pose for the camera. He can be a bit of a hindrance to photography, as he loves to chase insects, and obviously the birds don't welcome his presence, but he's so cute I can forgive him! 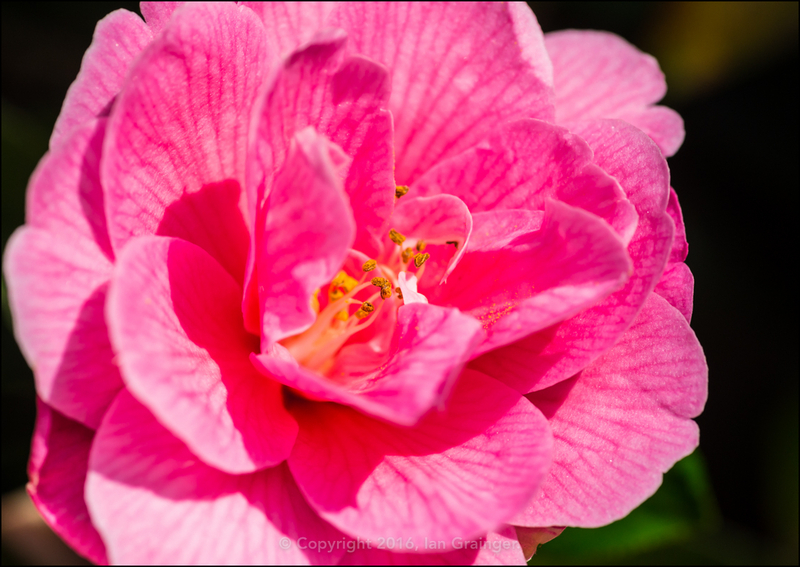 Finally, I can report that the Camellia bush is still going strong nearly four months since it formed its first flower.